I have been posed the question, what does 21st Century learning mean to me? For me a this can summed up in five words: Adaptable, Patient, Critical Thinkers, and Creators. The world is changing very rapidly and learners need to be able to change with it. Our students and us need to be able to move at that rapid base and use information as it comes. This changing world does not need more complacent workers but thinkers. People that will change the world for the better. Learners also need to be able to sift through the endless streams of information to use it in a proper use. Learners in the 21st century also need to be creators of information and creators of ideas. Learners using the above skills will be able to generate ideas, products and information in order for others to learn. 1) How do we teach to these skills? 2) How do we prepare ourselves and students to use these skills? 3) Am I missing anything? I apologize as I am a little over in my word count but hopefully its short enough. What is Wrong with an Algorithm? Nothing! Yes I said nothing! Let me elaborate. In conversation today I was asked, “What is wrong with an algorithm?” I get this question a lot. Now this question was asked because like us all we were taught to do an algorithm so we always do what is familiar for us. The question also came about because they were afraid of teaching their child the wrong way. This inspired me to write this blog post. There is nothing wrong with learning an algorithm; there are some risks in only learning this but there is nothing wrong. An algorithm was first invented in order to make math easier to do. We have to remember that calculators were not invented at this time and may people were using abacuses and basically counting by ones or a base 16 system. With the use of an algorithm counting became procedural and easier to do. However, those using it understood mathematical foundations of why the algorithm worked. This is the problem with introducing the algorithm to early. Let’s just reflect on our own understanding of basic addition. We honestly did not learn how to add by using an algorithm first and to be fair our first insistence of remembering an algorithm (at least in my guess) was probably around grade three maybe four. This means that for four-five years, depending if you were in the pre-school or JK error you had a lot of experimentation and exploring in counting, saying numbers, ordering numbers and subitizing. The problem is that we often forget all of the steps it took us in learning an algorithm. I know that the picture is small but you can see all of the learning that a student has to go through in order to get to an understanding of algorithms. Now you may question me on this but in my honest opinion it doesn’t teach proper number sense. The problem is that when a person does an algorithm it forces you to only look at numbers from 1-9. There is no true understanding of our base ten system. Students do not really understand why or how 1 group of ten can be ten things yet 1 ten. This is often seen when you ask a student tell you the value of a two digit number (let’s say 24). When you point to the ten’s column they will say the value is two. They will even go as far as counting 24 objects then pulling two of them to signify the value. This can also be seen when students use base ten blocks and they count the rods as two instead of twenty. Now these errors may be dismissed as, they just have to learn the proper procedure. However, these are troubling errors because students not only are procedurally doing the operations wrong they are also struggling with reason-ability of answers or what I like to call no number sense. 1) It allows all students to grasp a strategy whether they are counters by one or able to skip count proficiently. 2) It teachers all of the rudimentary learning of number sense. Students learn one to one tagging, cardinality, subitizing, magnitude and many more options all in one strategy. 3) Eventually they develop more proficient mental strategies because they can conceptually understand what is happening to the numbers. 4) There is no need to regroup and or borrow with a number line, just the use of number sense. I find this to be the biggest problem with algorithms. 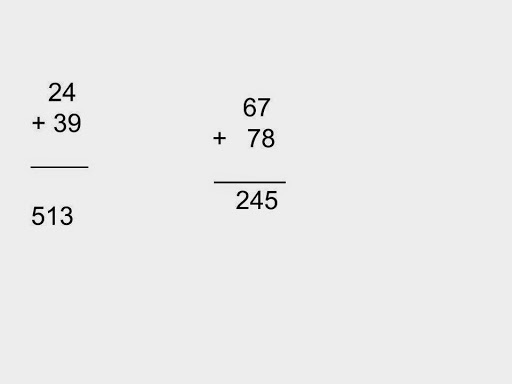 For example, let’s take 56-49=7. Now for many of us we may not need to use an algorithm but ask your child or a younger student they will start by borrowing from the 5 (not fifty) to make 16 because you cannot take 6 from 9 (which we also no is not true– ask anyone in debt or who has a mortgage) and then they will realize the answer is five. However, if students are taught proper number sense, they realize that they can just count up to the answer. By allowing my students to explore, question and develop their number sense they are better mathematicians and yes we have discussed an algorithm, we have developed an understanding of how to use it but my students make less mistakes with a number line then with an algorithm. And to be honest they much prefer the number line then the algorithm, most of the time they do this because that is what they think they need to do. One of the biggest problems in our math programs today is that we often jump to far into the abstract without thinking about the concrete work that people need to develop in order to understand these concepts. What do you think? When and where should algorithms be taught? How do you develop number sense? Love to hear your thoughts. 1) Fosnot, C. T., & Dolk, M. L. A. M. (2001). Young mathematicians at work. Portsmouth, NH: Heinemann. 2) Anghileri, J., Beishuizen, M., & Van Putten, K. (2002). From informal strategies to structured procedures: mind the gap!. Educational Studies in Mathematics,49(2), 149-170. Author MrSoClassroomPosted on November 13, 2014 May 7, 2016 Categories balanced math, math wars, Mathematics, teaching mathLeave a comment on What is Wrong with an Algorithm? This is an amazing blog post about learning through tech and how we don’t all learn to drive with the same car so why teach tech through the same devices or apps. Amazing, blog post Brian! I couldn’t agree with you more. I have always said to teachers; its not the app that makes the difference but the teacher. My Librarian always tells this story, “She gets a lot of teachers who come in and say do you have books? She looks at them and says, “yeah a lot; it’s a library!” Then she says, “what do you want to do? What is your big ideas? Curriculum expectations?” I say the same thing with apps. There is an app for everything, it is all about what you want to do, what expectations do you want to hit. This is what drives our teaching not the technology, that is just the vehicle in which you deliver the learning. 1) How do you implement a BYOD program into your school? 2) What about the students who cannot afford their own devices? 4) How do you get teachers into incorporating tech more into their own teaching? Thursday was one of the most amazing PD days I have ever been too and worked at. The organizers at Bit14 did a fabulous job! I love this video for many reasons. But the the main reason is the message that your ideas matter. This is what Aviva and I tried to share yesterday. As educators we all have amazing ideas. We are not defined by our four walls and our learning doesn’t happen in an isolation. Keeping along with this message we all have specialties, whether we are students, teachers or parents. We all have skill sets, experiences, and point of views that are worth sharing. What ideas do you like talking about? What area is your expertise? How can I learn from you? When I first started blogging I struggled because I didn’t think that what I had to say was anything important. I read all these amazing blog posts and was almost in shell shock; saying to myself that there is no way that I can write anything that important. Then in dawned on me why not share my thoughts anyways and the rest is history. Now I am in no way a prolific blogger like my amazing friend Aviva but I do try and share my ideas when I can. I set a goal of two a month and for the most part get that done. To help my blog posts started off more about what was happening in my classroom but slowly morphed into education discussions; like this one. They are a reflection depository for me to look back on. I would have to agree with all of these comments but it shouldn’t hold you back. Blogging and tweeting has been one of the best professional decisions that I have made in my career. It has made me more of a reflective practitioner, I have been able to build connections that I never thought I would have done and it has made me a better teacher because of the comments and learning that is being done. 1) Jump in. I over heard this at one of our break out sessions in bit. It is not the fear of failure that holds us back but that of criticism. Don’t be afraid of that, you have no control over what others think. However, what it does allow to do is get amazing feedback from a different perspective. Today at TLLP 2014 Andy Hargreaves mentioned that we need to seek out those differing voices to make change happen. We don’t have to like the comments but it pushes our thinking. 2) Learn to engage in the learning and sharing of others. I am guilty of this I read a lot of blogs but leave very little comments. But now I try really hard to interact with as many as I can. I try hard to leave a comment that goes beyond “great job” This is hard and often I have to go back to the blog post after I have reflected before doing so. By interaction is how you build relationships and trust (which is hard to do online). 3) How is your own blog post, tweet engaging. I once ask Aviva, no one responds to my posts. She turned around and said, “Does your post lend itself to being responded to?” This is a great question. 1) How are you making connections in our profession? 2) How do you go about creating dialogue to push yourself and others outside of the four walls of the classroom? I can’t wait to hear from you or read your blogs (feel free to tag me @mrsoclassroom and I will respond). What Have You Done to Improve Our Profession? I am sitting here at the TLLP sharing session in Mississauga listening to Joanne Myers. Truly an amazing speaker. She asked an important question: What have you done today to advocate for our profession? She then told us that the best advocacy is with our parents. This has hit home. I have mentioned this before but my daughter started school this year and it has changed my thinking as a professional. I never thought it would but thinking like a parent has made me reflect as a practitioner. You can see my thoughts at this blog post. So when I heard this question I had to think back to everything that has been happening in the classroom this year. She mentioned a little boy who stood up for the a small creature in the classroom. She then went home and late at night called his dad. She found out that night his Dad woke him up and they had ice cream. A year or so later (I think) she found out this particular students Dad had passed away. She still meets with this student and he told her the best memory of his Dad was eating ice cream that night. Its amazing to think how that small moment had impacted the students life. Its connections and stories like that that allows speaks for our professions. I am not too sure if I have a story that motivating but the one that comes to mind is a story that has happened a couple of years ago. I was taking students to an outside workshop and all of a sudden I heard my name being called, “Yo Mr So!” I turned around to be greeted by three tall grade eight students. They looked at me and said you don’t remember me? I said no I do, you just weren’t six foot tall 200lbs in grade four. We had a big laugh and connected on how they have been doing. Its great to see previous students and how they remembered us even after all of these years. We have all had that fantastic teacher that has motivated us to go beyond our capabilities. This is why when Joanne said, “What have you done to improve our profession?” It hit home. @MrSoclassroom how can we create a mindset so other professionals also advocate for our profession not the profession that gets summer off? This is another discussion to have. As educators we have the power to change perspectives. We are the best that this profession has to offer and need to showcase that. Teaching is an amazing profession. It has many hardships and struggles but many joyous moments. Like parenting, I have never regretted my decision to be a teacher. I write this post not to have any words of wisdom but a thought to have a aha moment and share some stories. It would be amazing to collect these stories of success and share them. Like Joanne said we are the face of the profession and the best advocates of change. 1) What do you do in the classroom to help advocate for our profession? 2) Do you have any stories of success? 3) What can we do to promote our profession and make it better? 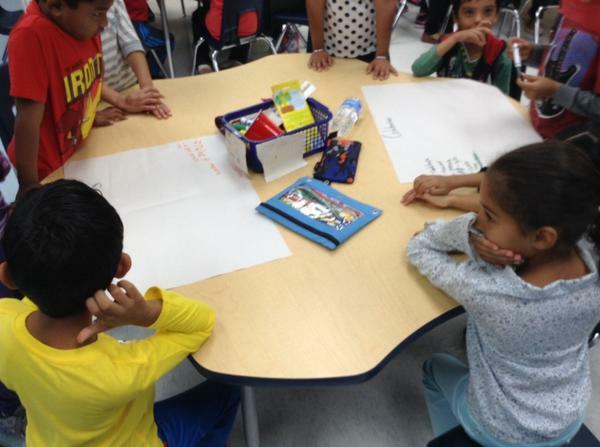 Author MrSoClassroomPosted on November 8, 2014 Categories Reflection, teaching practises, tllpLeave a comment on What Have You Done to Improve Our Profession? In a couple of days I will be presenting at Bit14 with Aviva Dunsiger. Our presentation is bridging the divide: Opening our four walls. However, I digress from my blog title. The reason why I am writing this is because I was also asked to co-facilitate a discussion with Brian Aspinall on assessment in a changing 21st century learning. This is going to happen on Thursday at 10:00 in the learning commons. It is a free forming discussion but I thought I would get the ball rolling with some of my own thoughts and more importantly questions. First of all with our assessment document in Ontario (Growing Success) there is a big emphasis on assessment for learning, as learning and of learning; with a large focus on assessment as learning and for learning. This is a big shift for many of us teachers who before this did a lot of assessment of learning. Not to say that this isn’t important but that there has been a big shift in thinking about assessment. This shift also aligns strangely enough with a wider acceptance on qualitative data versus quantitative data. That observations and discussion are just as valid and important as the number that we can collect. Which brings me to the reason for our learning commons discussion. The discussion came about when Brian made a post about a brand new app call Photomath. Basically its an app that can do algebraic equations for you. The question that Brian raises is what are we assessing when an app can do the math for us? Should we be assessing basic skills like this? My response to this was there needs to be a shift to not what is the answer but how do you know the answer is correct. It reminded me of the calculator debate when I was in school. I still remember this movie we had to watch in grade eight and the two children were adding up some money. One of the girls takes out a calculator and clearly gets the wrong answer but strongly argues that she is right. When asked why, she states because the calculator told me. It turns out that the calculator was running low on batteries and if you used basic common sense then you would have known the answer was wrong. The point wasn’t so much that she got it wrong but that there was faith in the answer because the technology told her so. The problem is that students then and now need to have a good conceptual understanding of the work before jumping into abstract thinking. They need to understand the process in learning. The world has changed a lot since we were in school, heck even since I was in school (which to be fair was not that long ago). If you honestly look back and think about those school days, the information that we were given potentially would have lasted us our life time. To be fair the information our parents were taught did last them their lifetime. However, that is not so with the kids we are teaching. Technology has changed the way we use, process and understand the world around us. We live in a world were tomorrow has endless possibilities. The scary part is that I am preparing kids for a future with obsolete information and knowledge. Which is why philosophies on assessment have drastically changed. A couple of years ago I was giving a test to my students. I looked up and saw that my students went right to talking with their math partners, trying to solve the questions. I was about to stop them and state that this is a test I need to know what you know when I realized that I already knew what they knew. Because of teaching in a constructivist approach, I knew where they were struggling, what strategies they would answer, and how they would communicate. In fact I knew why certain students were talking and asking questions and I knew what next steps would be useful for them. This test wouldn’t tell me this, in fact it was wasting two hours of time that I could be conferencing with my students and helping them move forward. Now I said I knew a lot, why? The reason is that in my teaching I am always conferencing with students, individually, and in groups. I have honest conversations with them and ask them questions to test their knowledge. Based on their responses and work samples I am able to see where fit on a continuum of learning. In fact I can confidently say that I understand my students more from this method then I do with a summative assessment like a test that I would have traditionally given. Not only that but my students move faster up that continuum because of our conferences and reflections that are done everyday versus just studying for one test to then forget about it the next day. For me it is more important to teach my students to be curators or data, critical thinkers, problem solvers and have creative/adaptable thinking skills. I say this because the information I am teaching them will soon be obsolete. Now please don’t get me wrong and say that students don’t need to have basic skills or test taking abilities. Unfortunately in this school system and society they still need those test taking skills and yes students do need to learn basic skills (arithmetic, writing, reading, etc.) but the emphasis shouldn’t be on memorizing to retain for an hour but to go deeper with that thinking and be able to understand why we are using it not just knowing and forgetting. 1) What assessment tools do you prefer and use in the classroom? 2) What skills are needed, as a teacher, to make assessment as and for learning effective for growing student achievement? 3) What do you think about the shift in assessment? Is it warranted? needed? 4) If we are moving to a more assessment as and for learning, how to we do this? 5) What is the biggest resistance to this change? How do we over come it? I am really excited for this conversation as I think we are on the brink of exciting change in education. Would love to hear your comments and ideas about this topic, no matter what they are.